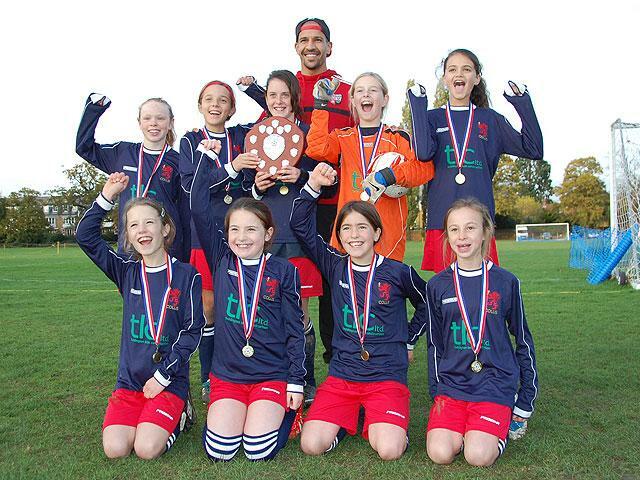 Girls’ Football Tournament – Borough Champions!! On 13th November the girls went to NPL for a football tournament. At first Collis dominated against St Stephens School and Phoebe Head scored a goal followed by another scored by Ella Waldron. End of match score was 2-0 to Collis. The next match against St James’ School resulted in a 3-0 win for St James. In the third match, against St Elizabeth’s School, the tables turned as Phoebe scored five goals at the outset, followed by Kitty Parsons scoring another, then another by Ciara Newbould. End of match score was 8-0 to Collis! The next match, against St John the Baptist School, was another Collis win, score 2-0. The quarter-final resulted in Collis winning against St James 1-0. Collis reached the semi-final. They beat St Mary’s & St Peter’s School 1-0. In the final Phoebe scored three marvellous goals, leaving Hampton Hill School scoring nil. Collis won the cup and will now be playing the best teams in London soon. Well done Olivia, Leah, Mairead, Phoebe, Ella, Kitty, Ciara, Amelie and Esme. We would like to thank Dave Waldron, Mr Loizos and all the parents who came to support us.